I don’t know about your kids, but mine just finished their soccer season. It was a very big season for us. One kid went up a division, and the other was very excited to learn more about the fundamentals and play a REAL game and not just running around chasing the ball. I was Team Mom for both teams, and if you are not familiar with sports that essentially means I am the Team Manager. 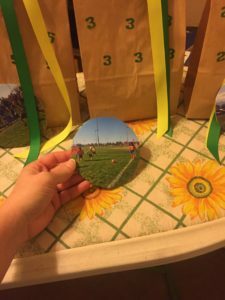 My fall season has been running back and forth between soccer fields, planning practices, arranging snack schedules, designing and purchasing a soccer banner for each team, and helping to run practice and games. We play through AYSO. American Youth Soccer Organization. We really like them because they background check and train every individual that is in contact with your children. Including the team moms. Everyone also goes through a concussion training in order to recognize when a possible concussion has occurred and how to deal with it to protect the children. AYSO is also very interested in the kids HAVING FUN while also learning the fundamentals of a team sport. They also make sure that they kids are interacting, learning good sportsmanship, and learning to organize and follow directions. We have enjoyed playing there immensely. Now that the season is over I am in the midst of planning end of season parties or banquets. This year we are planning to have fun together as a team and go bowling. I have arranged a party at our local bowling alley, rented shoes for every player, and we will be supplied with unlimited pizza and drinks. This week I am purchasing cupcakes, plates, and napkins, and preparing gifts for our coaches and goodie bags for the team. 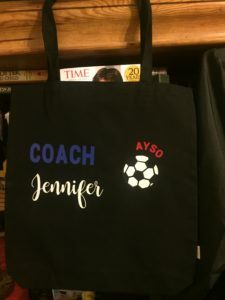 As a coach gift this year I purchased black canvas tote bags and had them personalized for each coach. 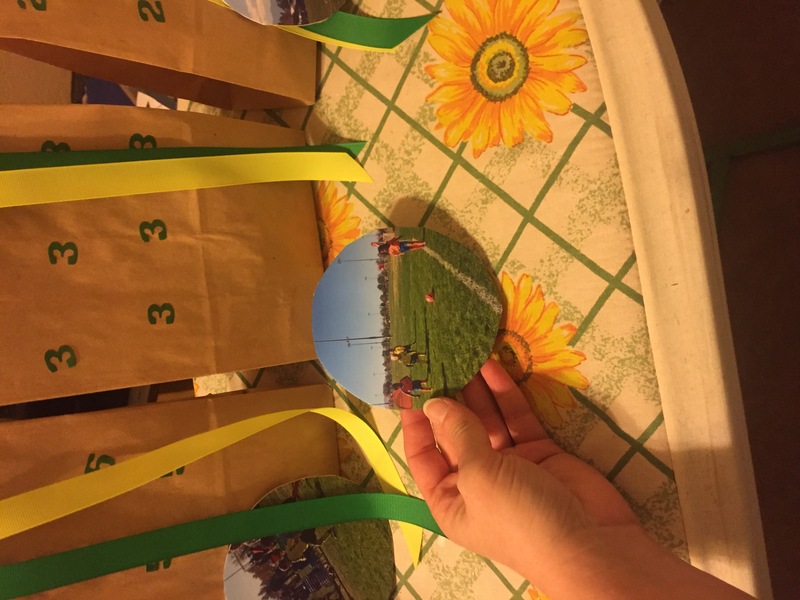 Each of the kids is getting a handmade soccer ornament with a photo of them playing during the year on the front, and a soccer ball on the back. 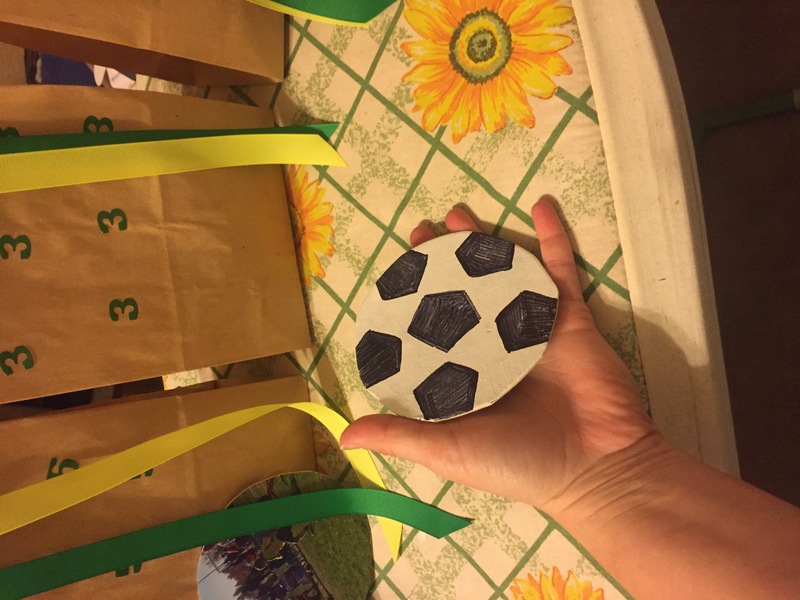 I am also including some squishy light up soccer balls, soccer whistles, and soccer tattoos (and a few pieces of Halloween candy I am attempting to get rid of!) 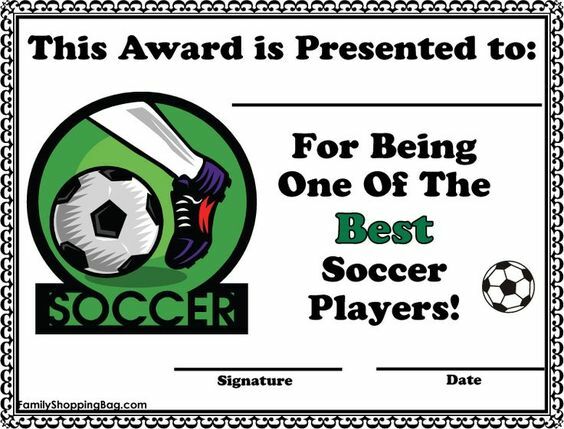 I am also creating special certificates for each player for improving and having a great season. Check them out here if you have a player you want to recognize. 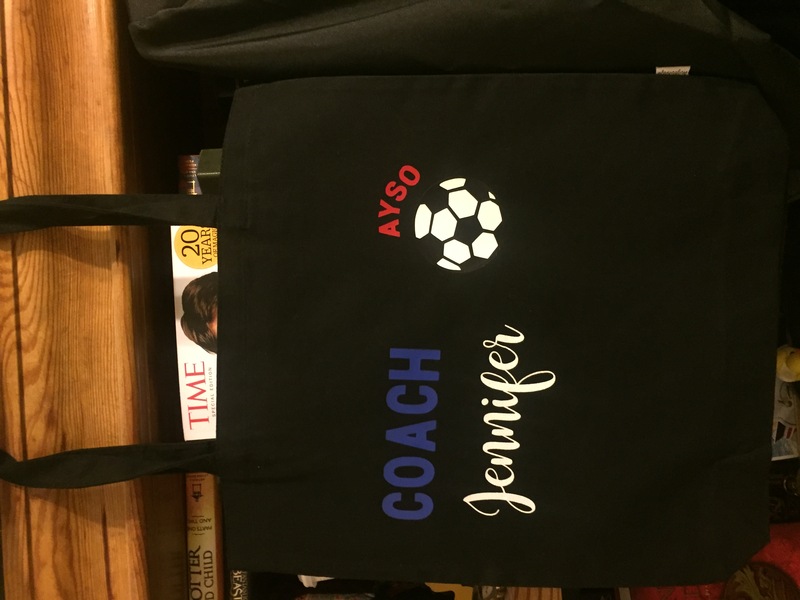 Thank you to The Family Shopping Bag for these great printables. They also have baseball, football, and basketball. Now that soccer season is finally over and the parties are almost ready I will begin focusing on my holiday preparations. Is anyone else a little behind like me? I hope so, I hate to be the only procrastinator. 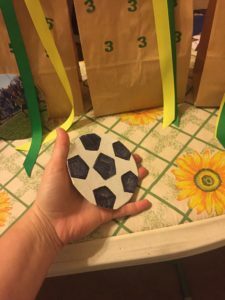 This entry was posted in Activities, Outdoor Fun and tagged Activities, coach, coach gift, soccer, sports, sports memorabilia, sports parties, sports players, team mom, the boys store, the family shopping bag on November 13, 2017 by Lacy. 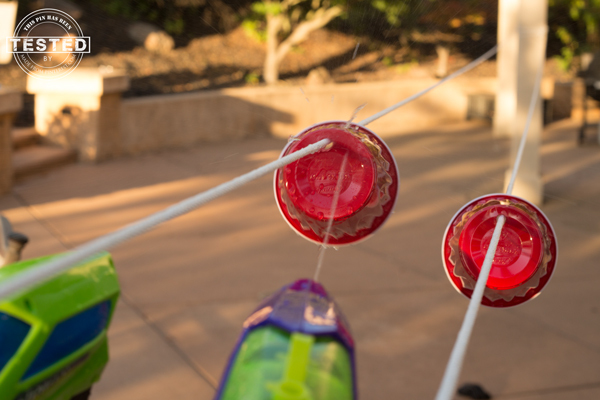 Summer Fun: Squirt Gun Race! Summer is filled with fun, activities, and outrageous games that will bring us joy forever. We want you and your kids to make memories this summer that wont just last until next school year, we want them to last forever. Our kids are only little for a short time, so lets enjoy them now and have all the fun we can fit in to one lifetime. Grandmas know what it is like to have time pass. They have watched us grow and change, and now they are watching our kids grow and change. They created the most amazing games when we were kids, and they haven’t slowed down yet. These three grandma’s are never going to slow down, because This Grandma is Fun! This Grandma is Fun is a great blog written by three sisters, each are now grandmas, and they love to create and share memories with their families and their readers. They have a fun summer game that will get everyone in on the action. Squirt Gun Races are perfect for summer fun, and everyone no matter their age or activity level can join in. So hurry on over to TGIF to get the full tutorial on creating your own Squirt Gun Race for your family this summer. Now you and your whole family will enjoy the carnivalesque fun that comes with this squirt gun race. It is simple to create, and is filled with lots of explosive fun. Recreate it at the park, the backyard, or the pool! We hope you and your family have a blast! This entry was posted in Activities, Outdoor Fun and tagged Activities, games, outdoor fun, race, squirt gun race, squirt guns, TGIF, the boys store, This grandma is fun on June 19, 2016 by Lacy.